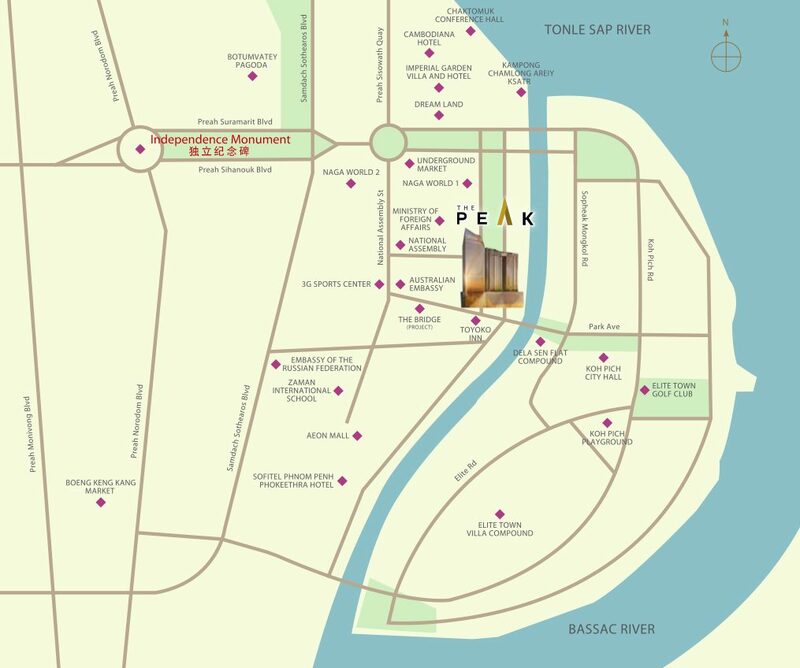 The Peak Cambodia is strategically located in the heart of Phnom Penh, Cambodia. Situated just 2 minutes away from Preah Sihanouk Boulevard, The Peak offers discerning buyers a great place to live, work and play ! 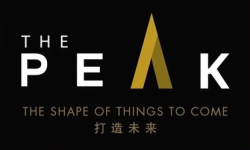 Historical buildings, entertainment options and shopping malls are all within easy access from The Peak. Located nearby are the National Assembly Building, the Ministry of Foreign Affairs, the Russia and Australia Embassies as well as the two main five-star hotels in Phnom Penh. The Peak is merely five minutes away from Diamond Island and is blessed with 30-degree panoramic views of Bassac River, Diamond Island and the beautiful city of Phnom Penh. Coming Soon! Register now to receive latest info and VVIP Preview Details.